Description - Mega Clic's Junior collection provides you with their most popular styles and woods in an affordable 8mm format. With an AC3 rating, these flooring planks are great for both residential and light commercial spaces. 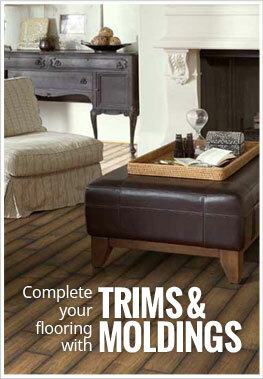 Easy to install and maintain, these laminate planks can be installed above, at or below grade. Great for families with children or pets, Mega Clic's laminate flooring is backed by a 25 year warranty ensuring your new floor will last for years to come. Size – Laminate floor planks are 5.71" wide x 47.83" long. Weight – Each laminate plank weighs ~2.9 lbs. Recommended Uses – Mega Clic's Junior laminate flooring collection can be installed in both residential and light commercial applications. These planks can be found as flooring in living rooms, family rooms, as basement flooring, in bedrooms, as home office flooring, in kitchens, as dining room flooring, as medical office flooring, and much more. Hickory, tiger wood, and walnut. Resistant to scratching and impacts. Can be installed at, above, or below grade. We purchased this flooring from a business local to us. We literally needed 1 more box to finish the foooring and they didn't have anymore, and told us we were pretty much screwed. This company saved us. They had the exact thing we needed, and we got it super quick. Love this floor, it's really easy (once you figure it out) to install. I bought this floor from Incstores.com a year ago and installed it myself. I couldn't be happier with the Mega Clic product and color. This product is very easy to install and holds up very well!! Doing business with Incstores.com is easy and painless. I will recommend this company to everyone, and its cheaper then most places in the valley. Do your homework before driving a bunch of miles and spending lots of time.